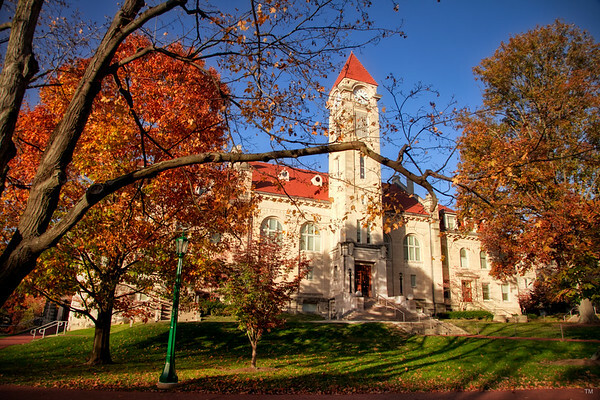 The historic campus of Indiana University Bloomington featuring the Student Building, built in the early 20th century. Other buildings in what is known as the ‘old crescent’ were built in the late 1800s, including Franklin Hall, Wylie Hall, Bryan Hall, Kirkwood Hall, Lindley Hall and several other notable structures. View more of my Indiana University photos! 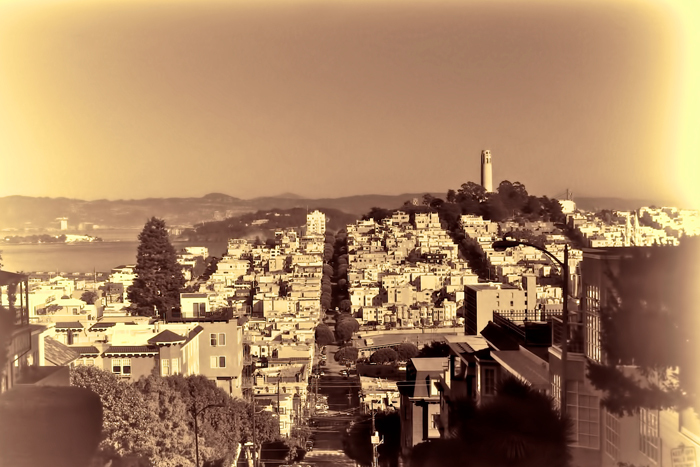 Old, vintage looking photo of San Francisco with the Coit Tower in the background. This photo was taken in November 2008, but made to have an old, timeless appearance. The fact that there are no cars in the photo to ‘date’ it sure does help. Check out more of my old, rustic photos taken across the country! Old, Vintage San Francisco with Coit Tower by Joey B. Lax-Salinas is licensed under a Creative Commons Attribution-NonCommercial-NoDerivs 3.0 Unported License. Permissions beyond the scope of this license may be available at http://www.joeyblsphotography.com. A panoramic sunset over Grand Traverse Bay in Traverse City, Michigan. This photo was taken in June 2012 just east of downtown Traverse City. The Holiday Inn West Bay can be seen on the left. Panoramic Traverse City Sunset by Joey B. Lax-Salinas is licensed under a Creative Commons Attribution-NonCommercial-NoDerivs 3.0 Unported License. Permissions beyond the scope of this license may be available at http://www.joeyblsphotography.com. The Chicago skyline at sunset in Grant Park near the Buckingham Fountain. The Buckingham Fountain is a popular Chicago landmark, particularly in the summer time. Many festivals, concerts and cultural events are held around or near the fountain every year, including the Taste of Chicago, the Chicago Jazz Festival, Lollapalooza, and many more. Check out more of my Chicago photography! Chicago sunset near Buckingham Fountain by Joey B. Lax-Salinas is licensed under a Creative Commons Attribution-NonCommercial-NoDerivs 3.0 Unported License. Permissions beyond the scope of this license may be available at http://www.joeyblsphotography.com. 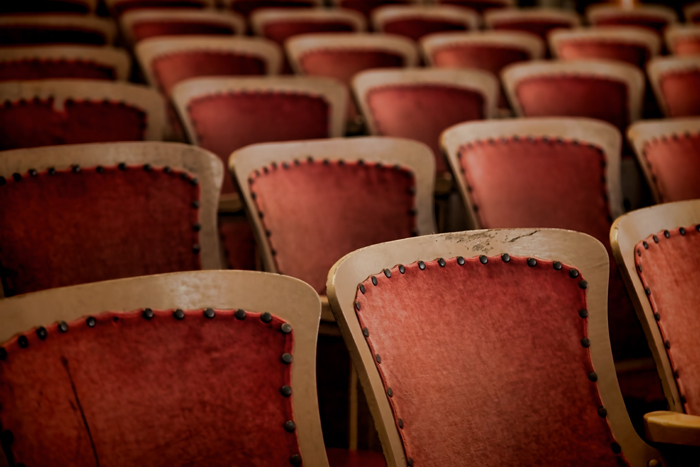 Old theater seats in the Mackinac Island theater building. The 1980 film Somewhere in Time had several scenes shots in this building, including the soliloquy scene by Jane Seymour’s character Elise McKenna. View more of my Mackinac Island photos, including the Grand Hotel and other photos from around the island. Old Theater Sears at Mackinac Island Theater by Joey B. Lax-Salinas is licensed under a Creative Commons Attribution-NonCommercial-NoDerivs 3.0 Unported License. Permissions beyond the scope of this license may be available at http://www.joeyblsphotography.com. 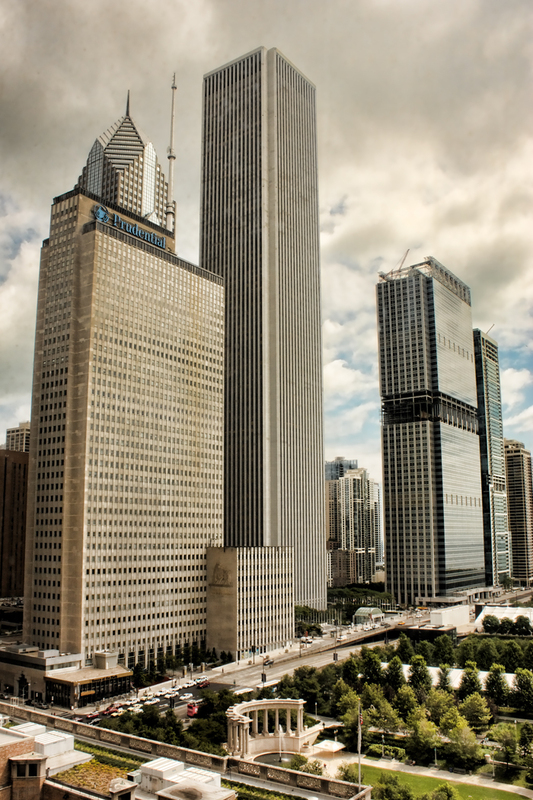 This photo was taken from a high rise in downtown Chicago and features the Prudential Building, Prudential Two Tower and Aon Center near Millennium Park. This photo was taken in the summer of 2009 and overlooks the northwest corner of the park. Nearby attractions include the Cloud Gate sculpture (a.k.a. ‘The Bean’), Chicago River, and much more. View more of my chicago photos taken over the years! Chicago Prudential Building and Tower by Joey B. Lax-Salinas is licensed under a Creative Commons Attribution-NonCommercial-NoDerivs 3.0 Unported License. Permissions beyond the scope of this license may be available at http://www.joeyblsphotography.com.